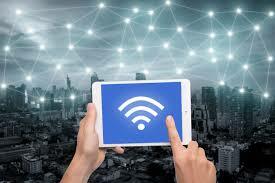 Making Meghalaya’s capital, Shillong a WiFi zone will be part of the state government’s endeavour to implement under Smart Cities Mission. Other projects like construction of skywalk, more parking spaces and other projects that can decongest the city, re-development of Laitumkhrah market, solid waste management and maintaining Shillong’s cleanliness, drainage system, restoring the past glory of crystal clear water of rivers in the city would be also part of the initiatives under Smart Cities Mission. At present, Urban Affairs Minister, Hamletson Dohling said that the state government is preparing the groundwork for smart city projects and the first step is to constitute a special purpose vehicle (SPV) to be headed by a chief executive officer. Officers and technical experts, engaged with various departments of the state government, will be its members. On June 20 this year, Shillong was selected as the 100th city, the last one to get included under the Smart Cities Mission. The Union Ministry of Housing and Urban Development selected Shillong after evaluating the proposal submitted by the Meghalaya government. With Shillong, the total proposed investment in the finally-selected 100 cities under the Smart Cities Mission will be Rs 205,018 crore. Dohling said that the funding pattern is on a 50:50 basis between the Centre and a state, but the state would push for a 90:10 funding pattern as it has been the case for various centrally-sponsored schemes in Meghalaya and other North Eastern states. In February last year, the Meghalaya government had prepared a proposal for the Smart Cities Mission. According to the proposal, the financial implication for implementing the smart city project for Shillong was worked out at Rs 1,279 crore. Of this, Rs 1,272 crore has been earmarked for area-based development and Rs 7 crore for “pan-city development”.